In the years since Colorado legalized recreational marijuana, law enforcement all over the country have reported finding Colorado marijuana in their states where recreational use of the drug is not legal. 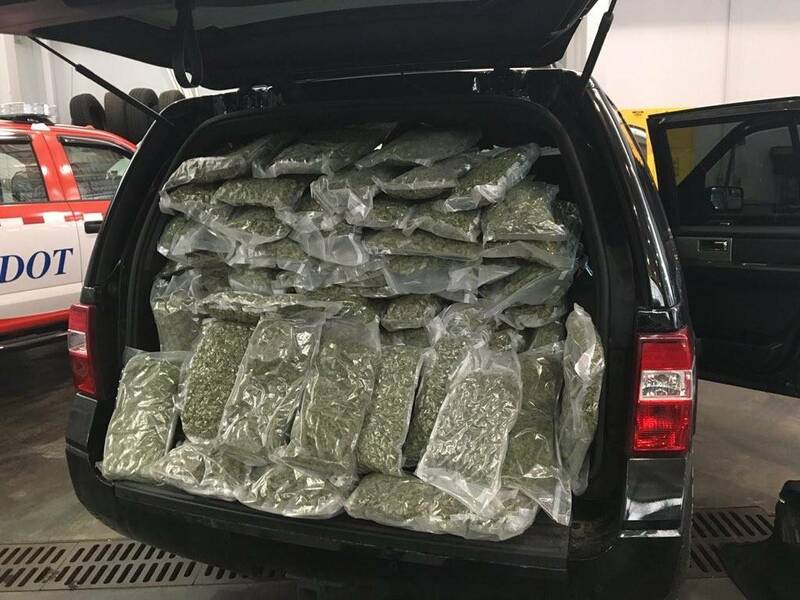 The origin of a drug is difficult to pinpoint but law enforcement is often able to prove that marijuana intercepted in the mail or stopped on the interstate originated from Colorado. Those seizures often make headlines. 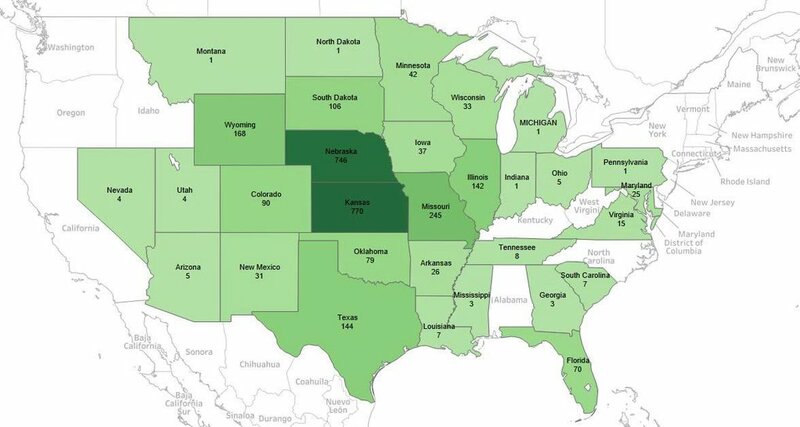 Data compiled in a report by the Colorado Department of Public Safety found more than 2,000 pounds of marijuana mailed from Colorado was seized by U.S. postal inspectors in 2017 – compared to 262 pounds in 2014. The report shows Florida outpaces other east coast states when it comes to seized marijuana sourced back to Colorado, with at least 70 seizures. And in Colorado, law enforcement officials are exploring whether illegal grow operations have links back to Florida. Authorities in several Colorado counties have reported finding grows on properties owned or rented by people from Florida, sometimes staffed by people who migrated to the U.S. from Cuba. Authorities from the DEA in Miami told Rocky Mountain PBS that Florida ranked near the top in the nation when it came to domestic indoor marijuana grow seizures, often connected to the Cuban community in south Florida. “They developed a niche. They were very good at it,” said Justin Miller, the intelligence chief for the DEA field office in Miami. Miller said repeated law enforcement busts drove the marijuana grows to other parts of Florida and eventually to greener pastures out of state. Authorities in Colorado said in the early years of legalization, suspects with Florida ties often presented medical marijuana cards with extended plant count recommendations. Florida authorities believe the marijuana grown in Colorado by Florida transplants is still making it back to their state. In rural Custer county, law enforcement officers have spent years frustrated by connections between people from Miami and grow houses they find in their community. “Folks are using Colorado and the laws that we passed to make a lot of money in other states,” Custer County Sheriff Shannon Byerly said. In 2015, authorities found large marijuana grows on three properties in Westcliffe as part of a larger federal case that resulted in 11 defendants entering guilty pleas. All three of those properties were either owned or rented by people from the Miami area who were not charged in the federal case. Court records, property records, and RMPBS interviews with some of the people involved indicate those Miami-based property owners and renters are related to each other. After government efforts to seize property from the Miami group ended, the sheriff says the problem continued. He and his deputies found grow operations again on two of the properties. The RMPBS Insight team traveled to Miami in hopes of speaking with members of the group. 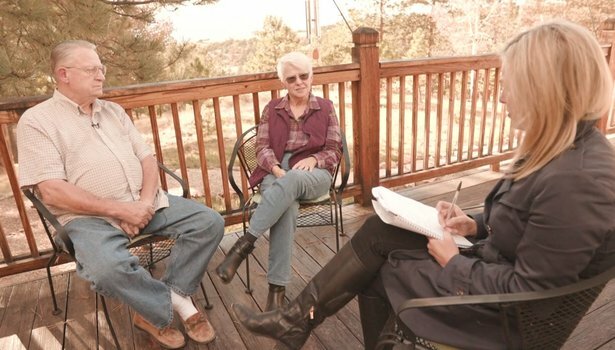 One woman who rented a property in Westcliffe raided in the 2015 case said she wanted to buy the property for her retirement and denied any involvement with the marijuana grow found there. 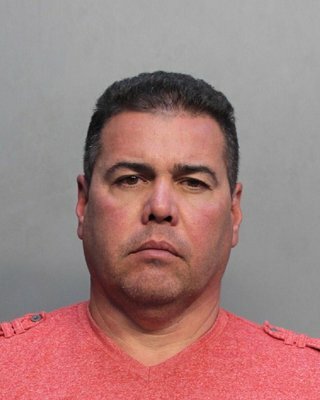 Montejo was not prosecuted in Colorado, but earlier this year, police in Miami arrested him on charges of cocaine trafficking. He has pleaded not guilty in that case and could not be reached for comment. Neighbors in the community told Insight they are frightened by the thought criminal organizations could be setting up in their rural town. “If you want to raise your marijuana plants for your personal use, that's your business. But when you're doing it for illegal sales, and it's in my neighborhood, I don't like that,” neighbor Carol Kennedy said. "To have them this close to home in a residential area was really nerve-wracking," Carol's husband Bob Dreher said. Custer County’s sheriff said his office does not have enough resources to investigate the out-of-state connections and he hopes for more federal assistance. State and federal law enforcement sources told Rocky Mountain PBS investigations are ongoing into connections between suspected drug trafficking organizations in Florida and grow houses in Colorado. This year federal prosecutors in Colorado brought a case against a Miami-area business owner accused in a marijuana exportation scheme. Court documents allege Lachy Espinel Jr. "purchased several marijuana grow warehouses and residences" in Colorado's El Paso and Douglas counties where search warrants uncovered hundreds of plants. When authorities searched a property he owns in Florida, court records say they found more than 60 pounds of processed marijuana, some of it mailed from Colorado, along with more than $500,000 in cash and 14 firearms. Will Bradley Lumpkin, Yunior Hernandez Martinez, Yuniel Gancedo, Felipe Hurtado and Adrian Felipe Hurtado are charged along with Espinel. All of the defendants have pleaded not guilty, except for Lumpkin, who entered a guilty plea in September and was sentenced to three years probation.